I’ve also read that we’ll spend about 65-85% in retirement of what we spent before. More hogwash — certainly for the first 5-10 years of retirement. Many people spend MORE then. 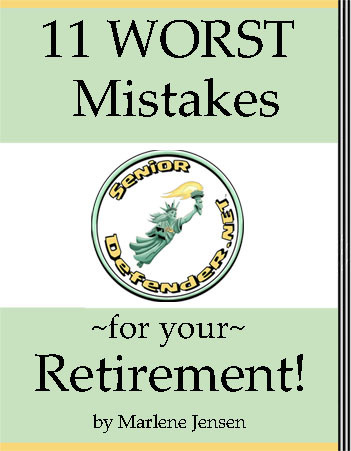 Have you tried to do a retirement “budget”? I started one at least 4 or 5 times in the past decade and the only result I ever got was complete frustration! For one thing, I’m not good at frugality and I found it hard to trust what I came up with was even close to what I might actually spend. Worse — I felt I had to account for every little item, and I was drowning in unnecessary detail. You’ve seen the worksheets. I’m looking at one now and it wants my trash pickup bill, how much I spend getting my hair dyed and cut, my groceries and my “household items,” plus 25 more categories. You could get lost just trying to be “accurate” for each item. by Emily Birkin: “You may be able to get away with ignoring your money choices while you are working full-time and bringing home a good salary, but maintaining that same level of money ignorance as you prepare for retirement is a good way to ensure your plans and finances go off the rails.” Oops! , by Dana Anspach. If you want 5 quick simple steps to the entire topic of financial planning for retirement, this book isn’t it. If you want to read all the many complicated decisions you’ll have to make to better maximize your retirement income, this book is the best I’ve found thus far. Checks/Bills Paid: In the first column goes anything you pay regularly by check or automatic withdrawal from your checking account. This part is very easy. I just looked at my checkbook for the past year and found 22 recurring vendors. By looking at what I paid to each for the past year, I now know what to expect (with cost-of-living increases) going forward. Don’t get hung up on trying to imagine what these charges would be if you moved or made some other change. Those are things you can analyze once you have your base numbers. Just put in what you’re spending now. Cash: Cash is the easiest of all: Just add up your ATM withdrawals over the past 12 months and put in that number. Credit cards: Also very easy. Don’t fret about fixed costs you pay by credit card instead of by check. (I pay by credit card whenever possible to get cash rewards from my credit cards.) Just look at how much you charged on each credit card over the past 12 months and put the totals in this column. Trying to guess what we will spend in retirement can be a nightmare. This exercise lets us see what we are spending right now. If we’re happy with our current lifestyle/expenses, we should be happy with the same number going forward. The only add-ons would be if we think we’d want to travel more or get into an expensive hobby. And we can guesstimate those add-on costs pretty easily. It’s not only accurate, it’s easy to do. I’ve FINALLY completed a “budget” and you can too. Unless we move, our checks/bills paid number isn’t going to change. Unless you make a point of paying everything you can by cash, most likely your cash number won’t change much either. All the flex in our budget comes in the credit card number. We don’t have to justify to ourselves all the “required” charges on the card. We’re starting out assuming we spend exactly what we’ve been spending. All required charges are accounted for in the number. But… there’s also serious wiggle room in the credit charges. If we’re still working, there are probably quite a few items included in that number that could be cut when we retire. Some, such as dry cleaning and commuting expenses, would be easy. Others we would cut only if we absolutely had to. But if you already know your expense number is too high, you can start drilling down on the expenses, looking for the least painful areas to cut. But… you’ll also need to add in some expenses — especially Medicare Parts B and D, and a Medigap supplement (if desired). The biggest/best cuts you can make concern your house and your car(s). Moving to a smaller and cheaper house or a cheaper part of the country (or both!) can make a huge difference. So can cutting out one of your two cars (for couples). Are there expenses you’ve found are easy to cut? Any tips to pass along about how to live more frugally without sacrificing pleasure? ‹ PreviousYour brain is shrinking: How to protect yourself! Next ›How much $ can you withdraw each year without running out?